The Green Pajamas! Psych meets the Beatles meets Leonard Cohen meets… Welcome to Jeff Kelly’s world. Indian Winter (top right) and Summer of Lust (bottom left) are from the Pajamas’ Joe Ross. The latter recording was originally a self-released cassette that showed up in the University District in 1984. 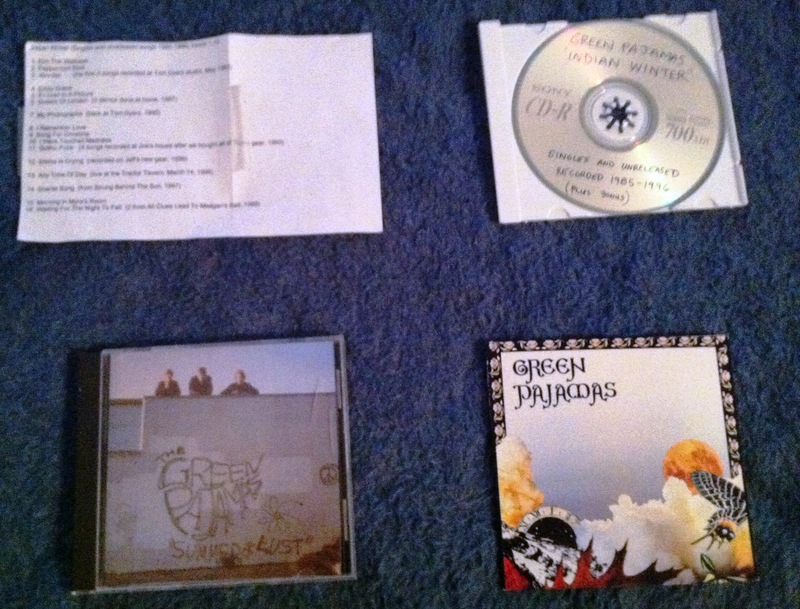 The CD at the bottom right (called Book of Hours) is from Green Monkey Records’ Tom Dyer.